Masahiko Kozuka began making type in 1952. At that time, he had started working at the Mainichi newspaper, one of the leading nationwide daily newspapers in Japan, where he made hot metal text and headline typefaces. In the 1960s, phototypesetters became widely available and were used especially in commercial printing. This increased the need for display typefaces. He designed some experimental and display, but his basic idea always was to create “type not just to be seen, but to be composed and read.” In the 1970s, in the transition from hot metal to digital type, he redesigned many fonts of Mainichi’s newspaper faces. From 1984, as type design director for Morisawa & Company, he supervised many type development projects such as the popular ShinGo typeface family. He always attached importance to the relationship between typeface design and new technologies. At both Mainichi and Morisawa, he initiated projects to systematize the process of typeface design and digital font production by efficiently making use of newly developed digital font production tools. 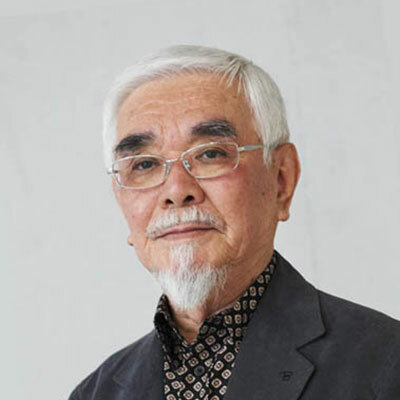 From 1992 to 2001, he supervised the Adobe Originals Japanese typeface development, and designed the Kozuka Mincho and Kozuka Gothic typeface families, in which he could adopt some new methods of Japanese type design by using Adobe’s up-to-date font development technologies.